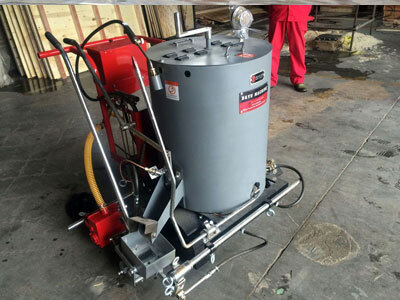 DY-MT hand-push multi-functional thermoplastic screeding road marking machine not only can be used for normal marking, zebra marking construction, but also can be used as a pre-heater to melt thermoplastic paints. Save construction time, improve construction efficiency. 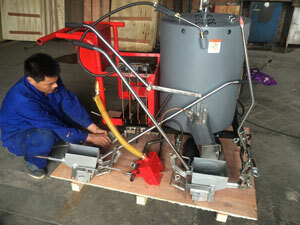 Dual-use machine also can be used as a thermoplastic per-heater to melt materials. Note: Using 400mm marking shoe, the DY-MT thermoplastic machine could meet the need of pedestrian lines marking construction.